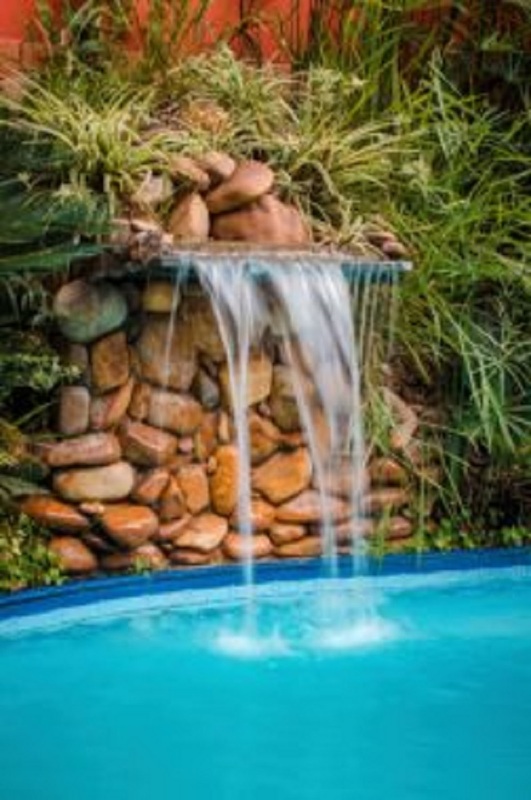 Adding a waterfall to your pool not only enhances its beauty, but it also helps to keep it clean! If you are thinking about upgrading your pool, now is the best time to do it! With a couple more months until summer and the weather warming up, it’s time to think about what you can do to improve your pool for the season. There are many options for a pool upgrade, such as pool lighting, a heating system, or even a slide! However, nothing beats adding a beautiful waterfall to your pool. Here are just four of the many benefits of adding a waterfall to your pool. One of the most relaxing sounds is that of moving water. Though it is a subtle noise, it is one that can automatically help you unwind after a long day. 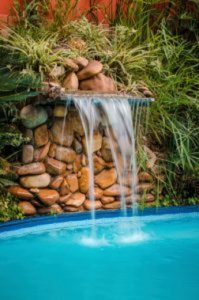 Adding a waterfall to your pool transforms it into a serene oasis that will make your backyard look and sound like paradise. Adding a waterfall to your pool doesn’t only provide visual benefits, there are also some health benefits as well! A waterfall will keep the water in your pool constantly in motion. Water that isn’t circulating is what leads to algae build up at the bottom of the pool. Because of the natural flow that the waterfall creates, it will prevent the growth of large algae patches in your pool. It can be very costly to keep your pool’s filter running all day long, but that is the best way to keep your pool clean; That is, if you don’t have a waterfall. Adding a waterfall to your pool will not only protect it from algae, but it acts as its own filtration system. That means that you won’t run your filter as often because the waterfall will naturally filter out leaves and other debris. This will also save you some money on your electricity bill! It goes without saying that adding a waterfall to your pool adds an element of pure beauty. You can even incorporate LED lights into the waterfall so that it brightens up the night. Incorporating natural stones in and around your waterfall will give your pool a more natural look and really add unique character to your entire backyard. Ready To Add A Waterfall To Your Pool? Call Paradise Pools Today!